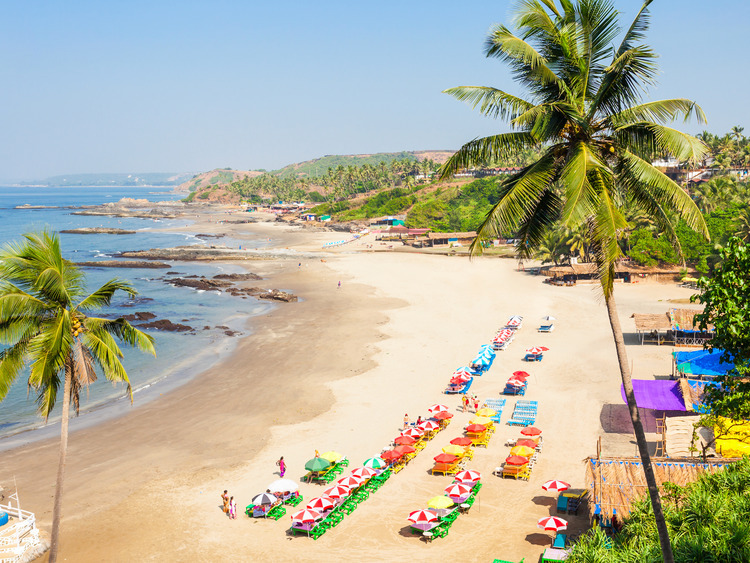 A unique chance to get to know Goa ain all its aspects: first we discover its most historical and cultural side, among the churches and temples of the old Goa, and then we relax on the beach. We leave the port by coach and head to Goa, where we will have the chance to broaden our knowledge of Indian philosophy and religion. We start by visiting two important churches in Old Goa, which are testament not only to its colonial past but also to the city's grandeur and wealth during the period of Portuguese rule: firstly, Se Cathedral, which is dedicated to Saint Catherine and is one of the largest in the city, secondly, the Basilica of Bom Jesus, which was built by the Jesuits in the 16th century and is home to the remains of Saint Francis Xavier. These are kept in a marble mausoleum and displayed to the public once every ten years. After visiting the churches, we head to the famous Shri Nageshi Temple, which is dedicated to the gods and goddesses of the Hindu pantheon. It clearly retains the Hindu style that was at its peak in the 18th century. And now for some relaxation! We head to the Beach Hotel where we can make the most of a delicious buffet and then relax with a swim in the pool, head to the beach or simply lie back and soak up the sun! Dress code that is appropriate for the places of worship to be visited is recommended: shoulder and knee must be covered. Sun loungers will be provided by the hotel depending on availability. The beach is not equipped. You need to be able to swim and be physically fit to take part in this excursion. Shoes must be removed and socks must be worn to visit the temple. It is not permitted to take photos or videos inside the temple. In case of events or religious celebrations the visit of church or monuments will be done only by outside. ?